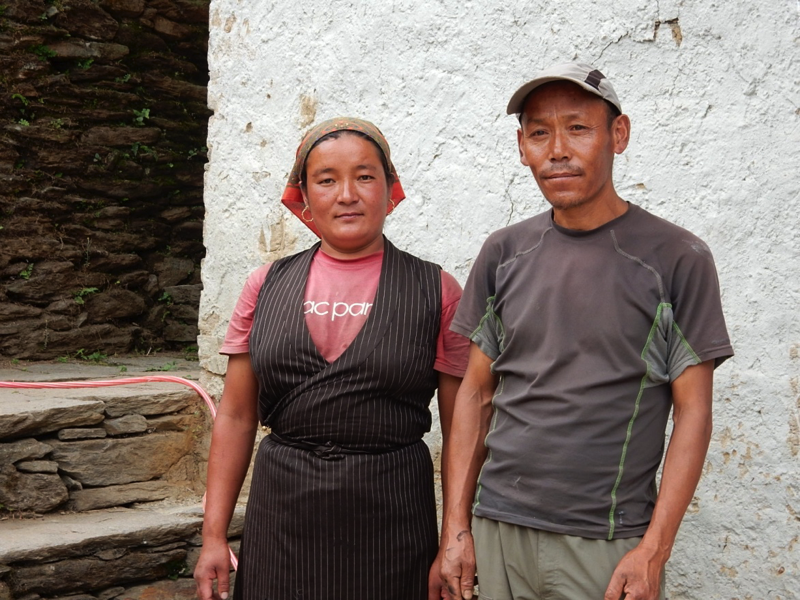 Tendi and Yandi, husband and wife live in a 3 story house with their sons, Dawa 11 and Mingmar Sonam 6. Since the first quake they’ve been living in a temporary shelter that includes space for cooking, living and sleeping. Sometimes they will go into their house for particular needs only. The whole family was quite terrified by the quakes and Tendi says if another one comes and it comes at night there would be a greater chance of harm and there would be greater danger.